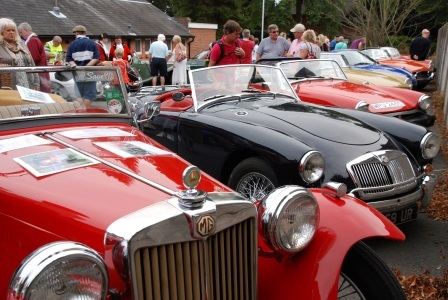 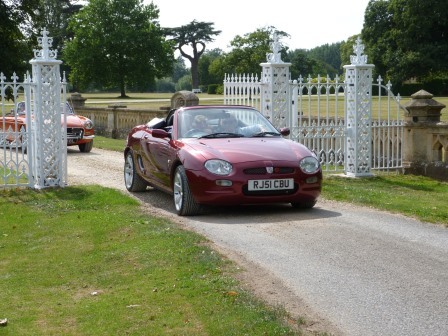 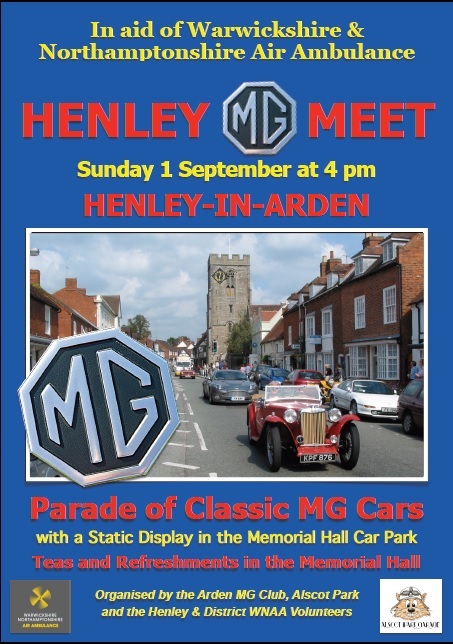 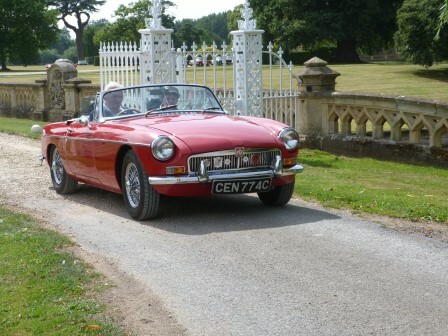 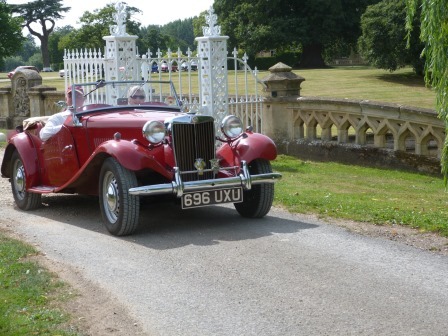 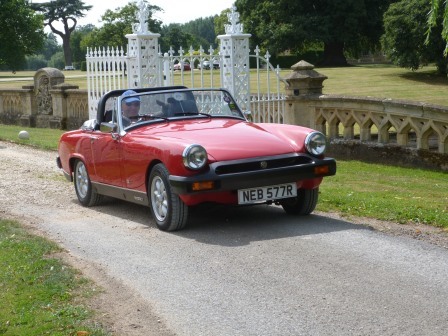 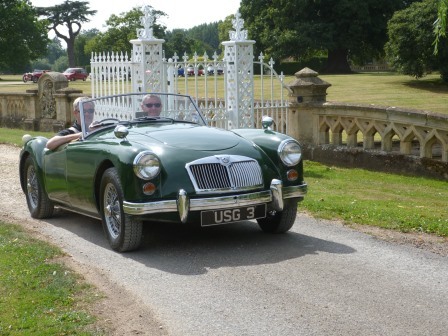 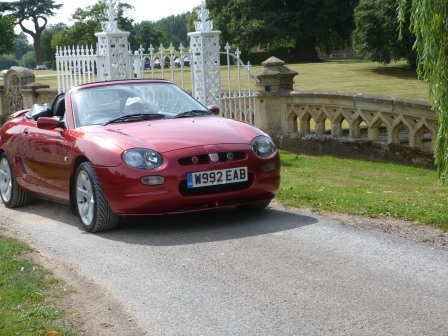 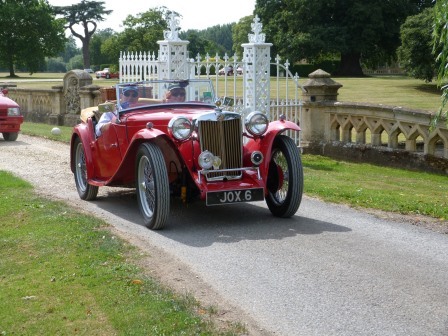 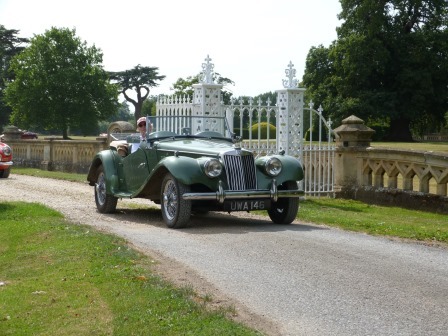 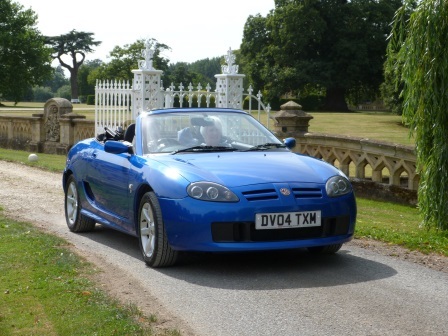 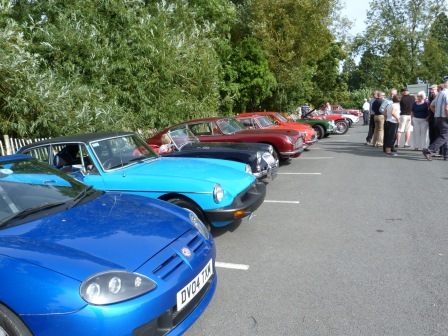 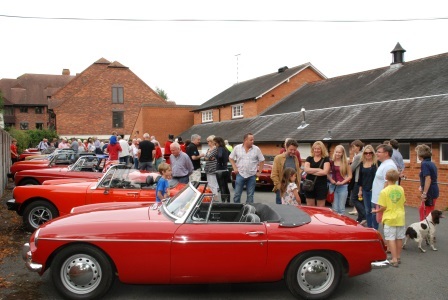 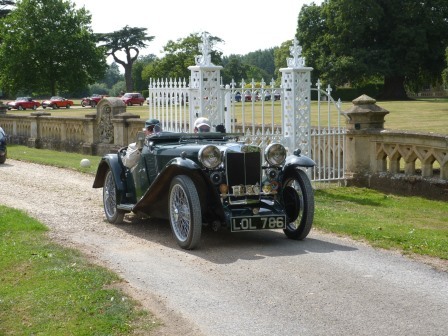 The Henley MG Meet in aid of the Warwickshire & Northamptonshire Air Ambulance. 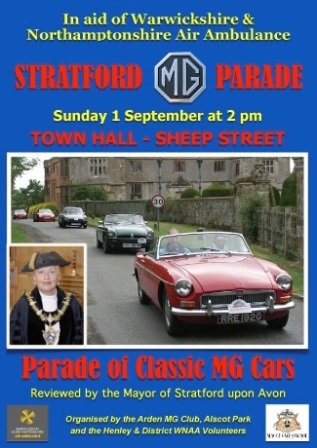 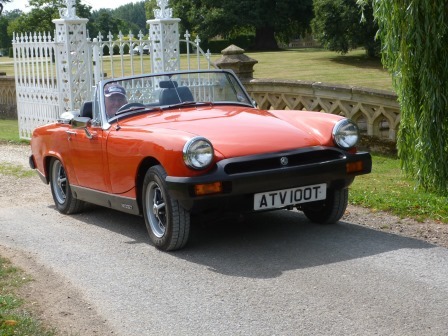 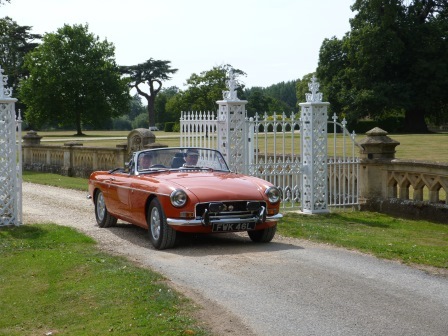 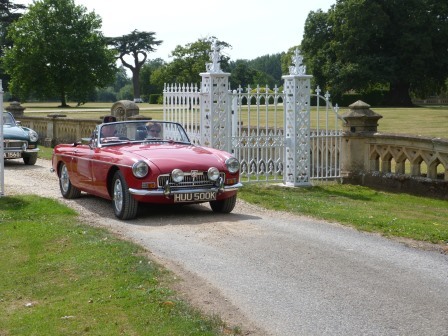 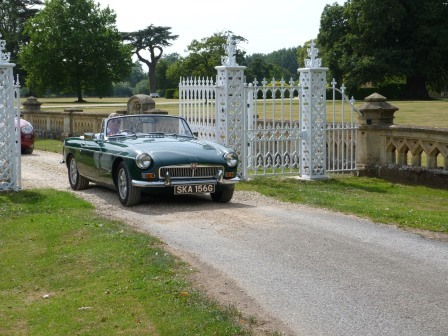 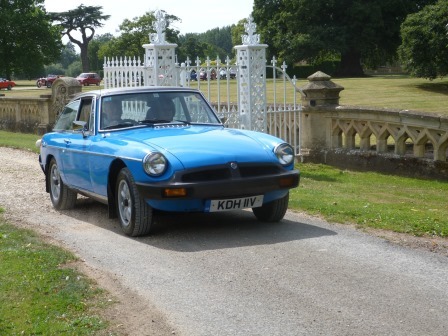 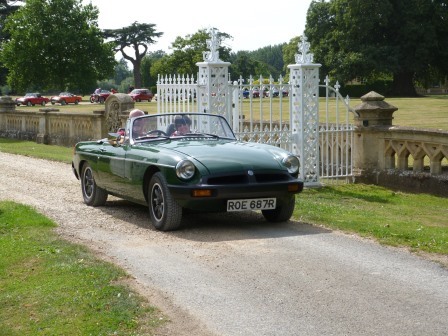 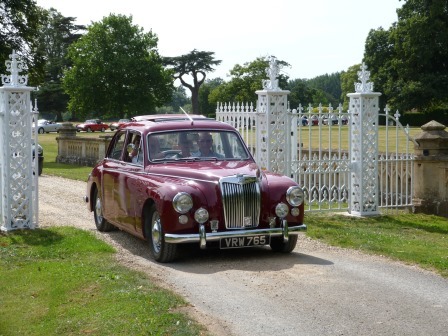 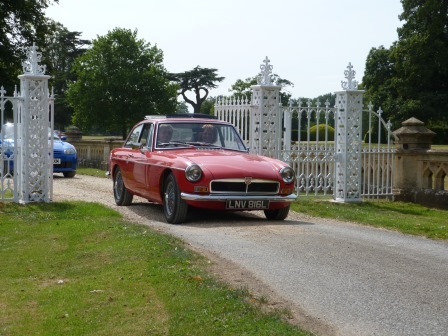 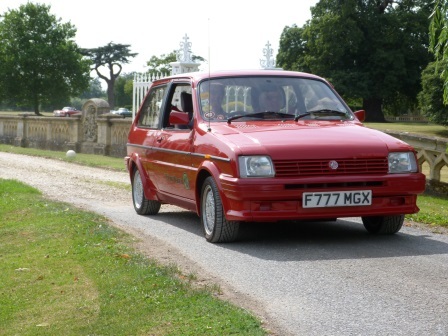 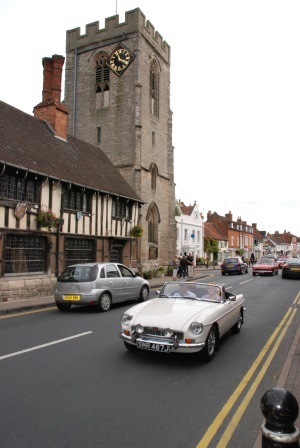 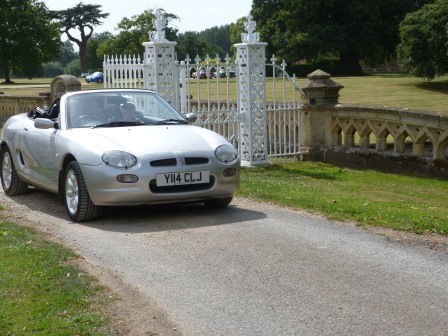 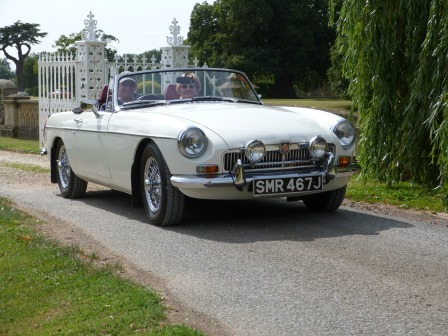 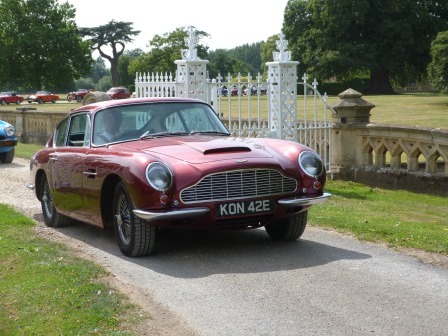 Sunday 1st September was the day for The 'Henley Run' which started from Alscot Park Garage, where the assembled cars departed through the main gates and headed for Stratford-upon-Avon. 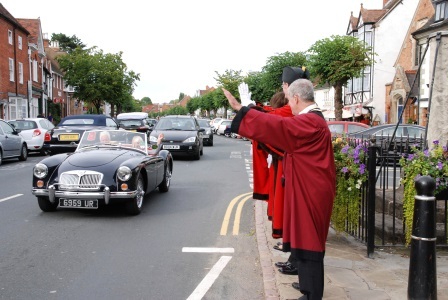 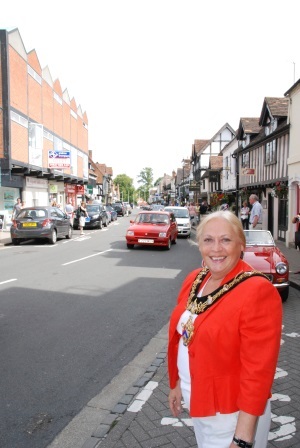 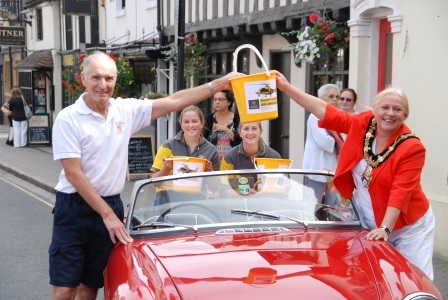 In Stratford the Mayor, Councillor Diane Walden was waiting to 'Wave' us by. 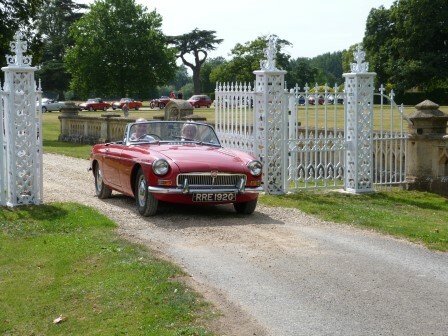 There was then a 30 mile scenic drive, using a 'Tulip Diagram' route book, through seldom traveled roads of Warwickshire. 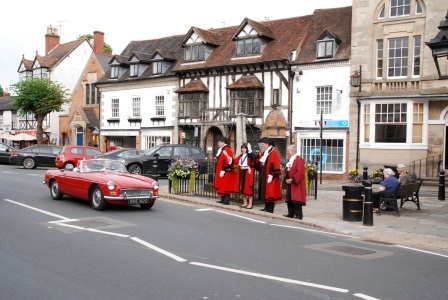 At the finish of the run we gathered just South of Henley-in-Arden ready to form a procession through Henley, where the High Baliff, Fred Dowling, accompanied by the High Baliff of Alcester, John Mills and the Low Baliff of Henley-inArden, Dawn Leech, reviewed the parade of MG cars along the High Street outside the White Swan Hotel. 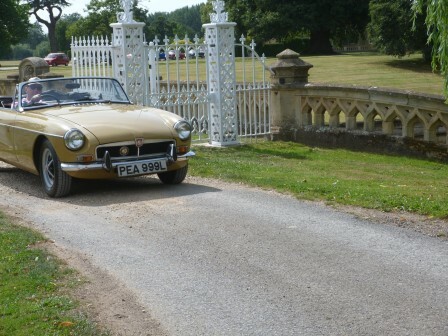 The cars all parked at the Memorial Hall where the participants enjoyed afternoon tea. 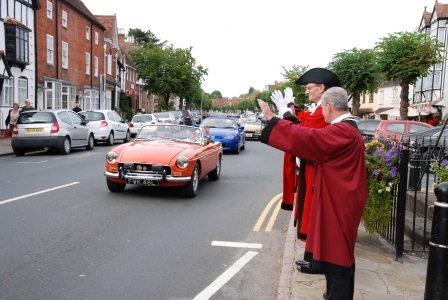 The day finished with the cars leaving down the High Street to be 'Waved by' the dignitaries again. 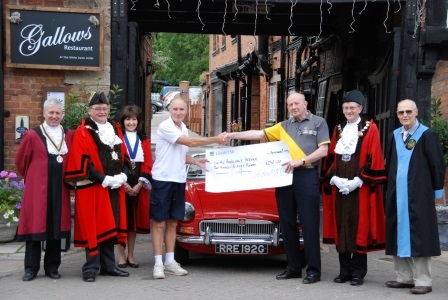 A cheque for £250 was presented to The Air Ambulance Service from the Arden MG Club on the day which help them raise a total of £650.